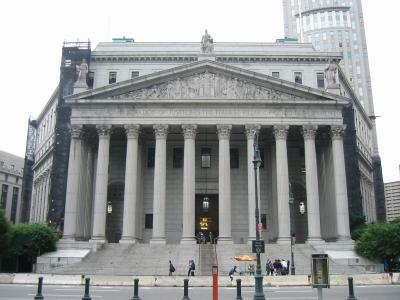 Save Gansevoort Wins Important Preliminary Legal Victory! 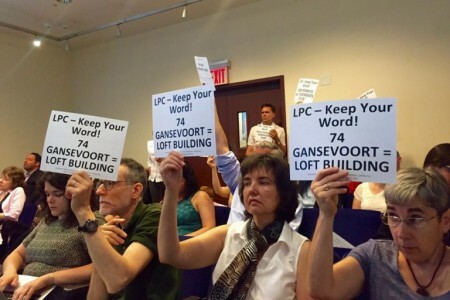 Save Gansevoort has won an important legal victory. At a hearing on February 9th, a judge granted us a preliminary injunction that prevents the developer from doing any work on the exteriors of 60-68 and 70-74 Gansevoort Street until the court reaches a decision on our case. 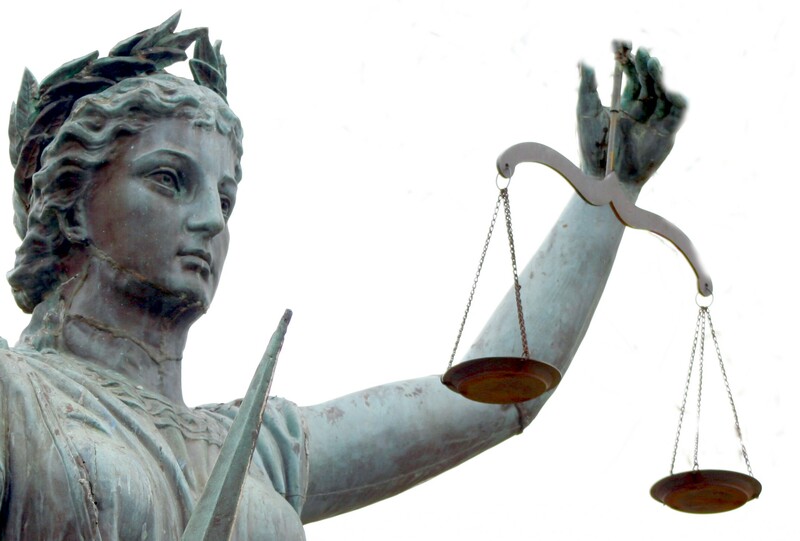 Preliminary injunctions are very difficult to obtain and are rarely granted, and yet the court granted us this relief. It is exactly what we hoped to obtain at this point. We are extremely gratified by the court’s decision. The next (and possibly final) hearing, at which both sides will argue their case, is now scheduled for Wednesday, March 8th at 2:15 PM. The hearing will again be at 60 Centre Street Room 345 (at Foley Square). Please save the date and make every effort to attend! We need a good turnout at the hearing to show the judge how strongly the community feels about saving Gansevoort Street. The Villager has a good article about the injunction with some additional details. Last Friday, February 3rd, a judge granted Save Gansevoort a temporary restraining order which for the moment prohibits the developer from starting demolition at 60-68 and 70-74 Gansevoort Street. At this hearing, the court will be considering whether to grant a temporary injunction that would prevent the developer from doing any demolition or construction work on these two buildings for the duration of the court proceedings. There will likely be discussion of the substantive issues underlying our lawsuit to overturn the decision by the Landmarks Preservation Commission approving the massive Gansevoort development. It should be an informative afternoon! We hope you can join us at this hearing. A good crowd is important to show the judge that there is strong community support for preserving the intact block of historic market buildings on Gansevoort Street. 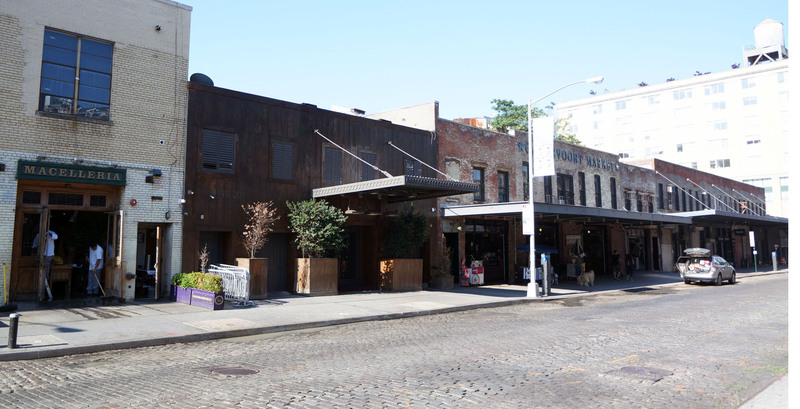 On February 3rd, a judge granted Save Gansevoort a temporary restraining order which for the moment prohibits the developer from beginning demolition at 60-68 and 70-74 Gansevoort Street. At this hearing, the court will be considering whether to continue to prevent the developer from doing any demolition or construction work on these two buildings for the duration of the court proceeding. Please join us at this hearing! We need to let the judge know how strongly the community supports preserving the intact block of market buildings on Gansevoort Street between Greenwich and Washington Streets. Save Gansevoort has filed suit to stop Aurora Capital’s massive Gansevoort development. Please come to our Town Hall meeting this Tuesday, November 1, for a discussion about the lawsuit with Michael Hiller, our lawyer. Michael will give a presentation about the lawsuit, and will be happy to answer questions. Tuesday, November 1 at 7 pm. 22 Little West 12th Street, 2nd floor. We need everyone’s support to help defeat this massive development. Our lawsuit challenges the Landmarks Preservation Commission’s approval of this project last summer, which we believe represents a threat not only to the character of the Gansevoort Market Historic District but to Historic Districts across the city. More information about the lawsuit can be found here. Help us save our city, our community and our Landmark districts! See you at the meeting! 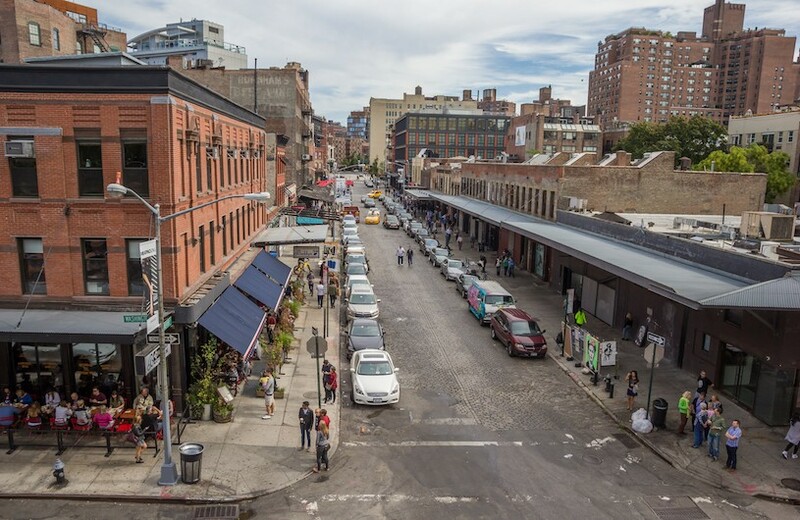 Save Gansevoort has filed a lawsuit against the Landmarks Preservation Commission (LPC) to overturn its decision to allow a massive, out-of–character development in the Gansevoort Market Historic District. Gansevoort Market, the West Village, Greenwich Village and other historic districts throughout NYC are under attack by developers. We hope this lawsuit will send a message to the Landmarks Preservation Commission that they must consistently and forcefully protect the historic districts and landmarks they are charged with preserving. The LPC approved the massive development on Gansevoort in spite of overwhelming opposition by public officials, area residents and preservation groups. Many of you were shocked and appalled by LPC’s decision and we will work together to continue this fight. 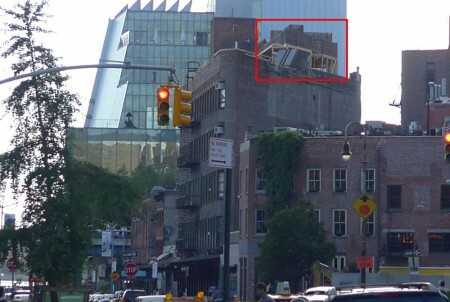 Save Gansevoort LLC is being represented by Michael S. Hiller of Hiller PC, a law firm that has successfully fought to overturn similarly misguided LPC decisions, most recently the Clocktower case at 346 Broadway in Tribeca. Lawsuits are expensive and we need your continued support to fight this. So far, Save Gansevoort has been funded by over 100 individuals. We need everyone who has supported us to give again, and we need help from the hundreds of other people in our community who have voiced opposition to this project and who care about the future of our city. Let’s join together to fight this decision and show City Hall that developers and lobbyists like Jim Cappalino who represents Aurora Capital – just as he also represented developers involved in the Rivington Street nursing home scandal – cannot continue to ruin the character of our city. Please click here and give generously to this fight! Every donation counts, no matter how large or how small. All donations are fully tax deductible. More information about the lawsuit, including our petition to the New York State Supreme Court, can be found here. Thank you for helping to preserve the character of our beloved city. Restoration Hardware is planning to open a boutique hotel at 55 Gansevoort to complement the flagship store they are building at the old Pastis site at 9-19th Ninth Avenue, which they have leased from Aurora Capital. This addition is very large, and very visible both from Gansevoort Plaza, from Washington Street, and from the High Line. CB2 should recommend rejection of the application, or at least recommend that the addition be significantly reduced in size and visibility. Once again, there is a James Capolino connection. 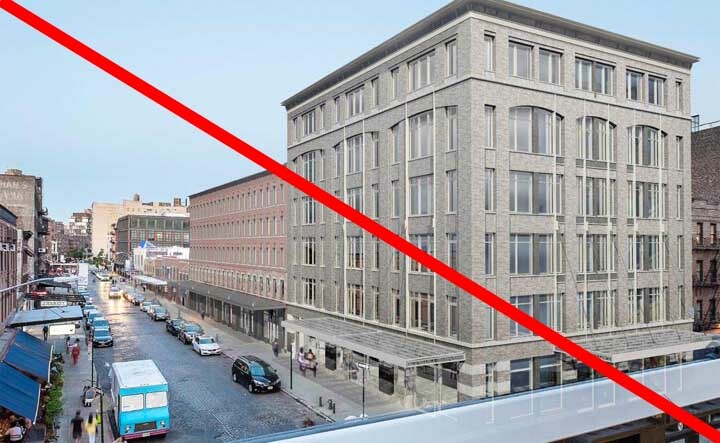 Aurora Capital was represented by lobbyist James Capolino when they got Landmarks permission for the huge addition on top of the old Pastis building which will be the site of the Restoration Hardware store, and Aurora’s massive Gansevoort project is also represented by Capolino. Their goal is to combine this space with an adjacent vacant space to the east to create an 8,100 sq/ft space (plus another 3,500 sq/ft in the basement) which would be leased for a HUGE restaurant operation – we’re talking a capacity of several hundred seats! A year ago, TF Cornerstone attempted to illegally lease this space for restaurant use in violation of the restrictive declaration. We have previously said that we would oppose market-rate retail or restaurant uses in this location, but would support amending the restrictive declaration to allow uses by non-profit organizations. 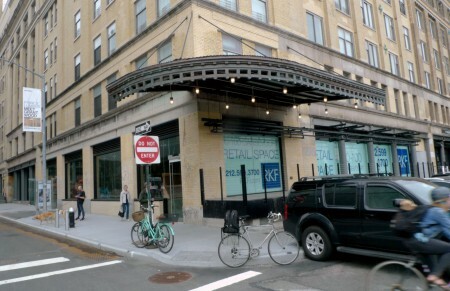 TF Cornerstone is apparently going to offer a deal whereby in return for lifting the restrictive declaration on the 4700 sq/ft space at Gansevoort and West, they would make a significantly smaller space in the West Coast building fronting Horatio Street available for non-profit use. The lobbyist that TF Cornerstone has hired to push this application is James Capalino, who has been involved in other attempts to remove property restrictions which were intended to benefit the community. 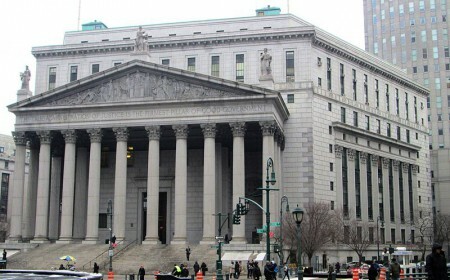 He represented the companies involved in the recent Rivington Street nursing home scandal; he is also the lobbyist for Aurora Capital, which has said that it will apply to change the restrictive declaration limiting uses on the site of its massive Gansevoort development project. This hearing is an opportunity to send a message that the community must be fully engaged in the process of negotiating any future attempts to change restrictive declarations, such as the one governing Aurora’s Gansevoort site, and that any changes should only be permitted if they benefit the community and the community agrees to them. 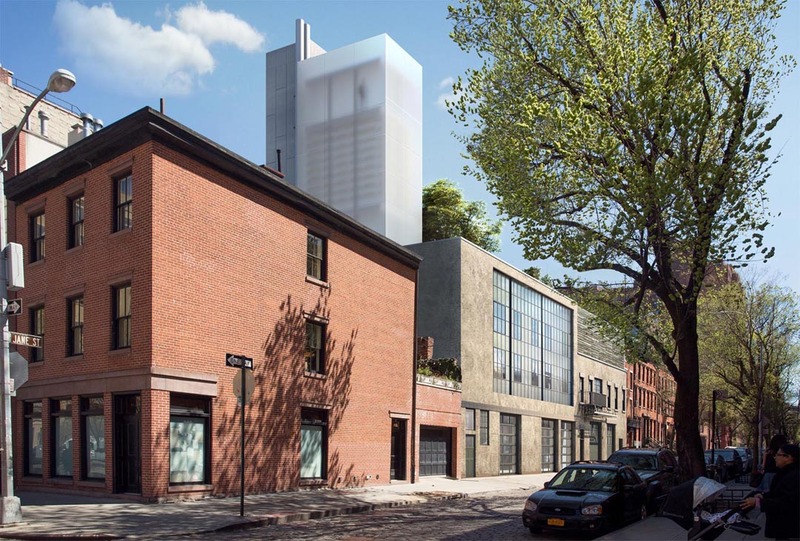 The Landmarks Preservation Commission will hold its hearing on the proposal to build two 90′ tall towers at 85-89 Jane Street – just two blocks South of Gansevoort Street – this coming Tuesday, July 12th, at 1 Centre Street, 9th floor (at Chambers Street). LPC estimates that this application will be heard at 2:45 PM, but recommends coming one hour early in case the previous items end early. It’s important that as many people as possible attend the hearing and testify briefly about why the proposed buildings would be completely out-of-character with the Greenwich Village Historic District. Furthermore, the proposed facade additions would create an overbearing, uniform 41′ tall street wall, which would have a sterilizing effect on this charming low-scale block. If you are not comfortable testifying, please come anyway and hold a sign! Also, if you haven’t already done so, please send a message to LPC here. This project is represented by James Capolino and Company, the same lobbying and PR firm that represents Aurora Capital’s massive Gansevoort development. What’s Happening to the Landmarks Preservation Commission? We’ve got an op-ed piece in Slant, the blog of City and State Magazine, reflecting on the significance of the Landmark Preservation Commission’s decision on massive Gansevoort development project. In our biased opinion, it’s worth a read! Just recently, the commission ruled that massive new buildings – one of them nearly six times as high as the market building it would replace – could be constructed on Gansevoort Street due to the fact that tenements existed on this block more than 75 years ago. That this argument, advanced by the developers, actually won out with the current commission is shocking. One could equally argue that, because this block was once the site of the Indian village of Sapokanikan, it should be rebuilt with one-story wooden longhouses, which stood here in the 17th century. The commission’s verdict is a complete reversal from the decision made by the same agency under a different administration. 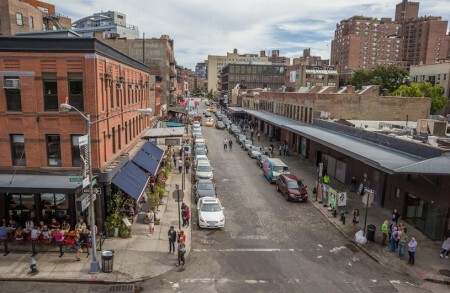 After all, there was a reason why the area was designated as the Gansevoort Market Historic District and not the Gansevoort Tenement Historic District. Today’s commission has disregarded what its predecessors deemed as the most historically valuable aspect of this area – its market-style buildings – and all for the sake of development. Without question, our community is distraught at the thought of losing what drew us all to this part of the city to begin with. But as New Yorkers who care about preserving the past, we are even more disturbed by the precedents set by the commission’s actions.